It would only be because we’re now in the middle of rain season here in Cuzco. Now mind you, not everybody is blowing at the sky during rain season in Cuzco, only those people whose birthdays fall during the DRY months of the year. That’s right, there’s a belief or superstition here in Peru that people whose birthdays fall during the dry months can make the rains go away by blowing at the sky! 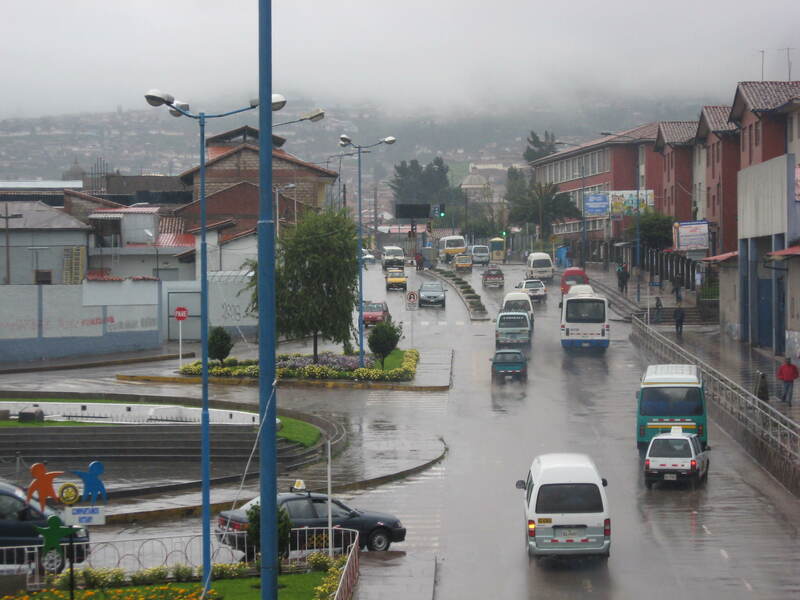 Rain season in Cuzco begins towards the end of November and lasts through the beginning of April. It’s not bad really, no tropical downpours, just a steady diet of clouds and rain. But the rain helps rejuvenate the lands and green areas look good again. Meanwhile in the coastal areas of Peru summer is just beginning, so many Cusqueños take a trip to the coast for the traditional summer vacation. It’s something to get used to for gringos coming down from the Northern Hemisphere, when you visit Lima in December everybody is getting ready for Christmas and summer vacation at the same time. This entry was tagged blowing at the sky, Cuzco, rain, rain season. Bookmark the permalink. Wonderful site. Thanks for posting your pics. Peru is one of my favorite places.